ARM Asifur Rahman (left) of the daily Prothom Alo and Mahmudul Hasan Nayon (right) of the daily Jugantor are elected as president and general secretary respectively of Dhaka University Journalists Association (DUJA). 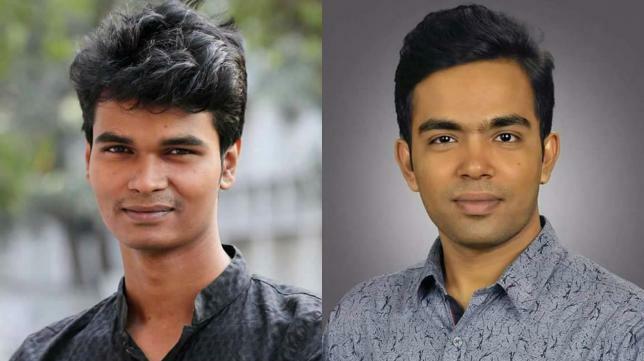 Asifur Rahman of Dainik Prothom Alo and Mahmudul Hasan Nayon of Daily Jugantor have been elected as president and general secretary of Dhaka University Journalists' Association (DUJA) for one year. The other office bearers are Vice-President Mir Arshadul Haque of Daily Independent Joint secretary Abdul Hakim Abir of Dainik Destiny, Office Secretary Raihanul Islam Abir of The New nation, Treasurer Abdul Karim of the daily observer ; and executive members Dipok Chandra Ray of Dainik Bhorer Kagoj, Mahadi al Muhtasim of Daily Asian Age and Monir Hussain of Dainik Manabzamin. The DUJA election was held at its office at Teachers-Students’ Centre (TSC) of the university on Friday. Former Secretary General of DUJA Borhanul Haq Shamrat was the chief election commissioner in the election.